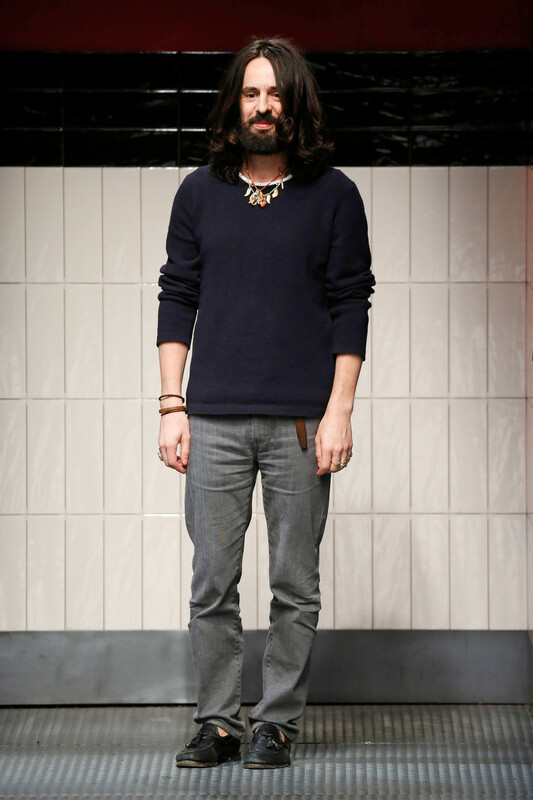 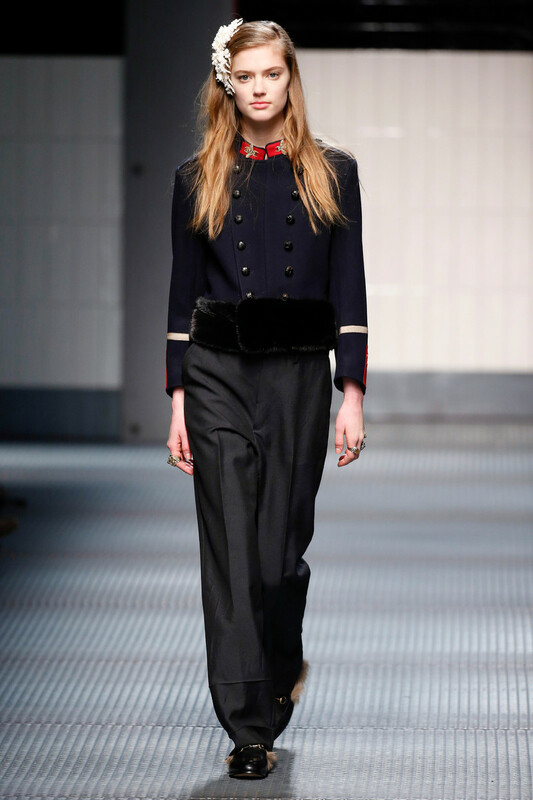 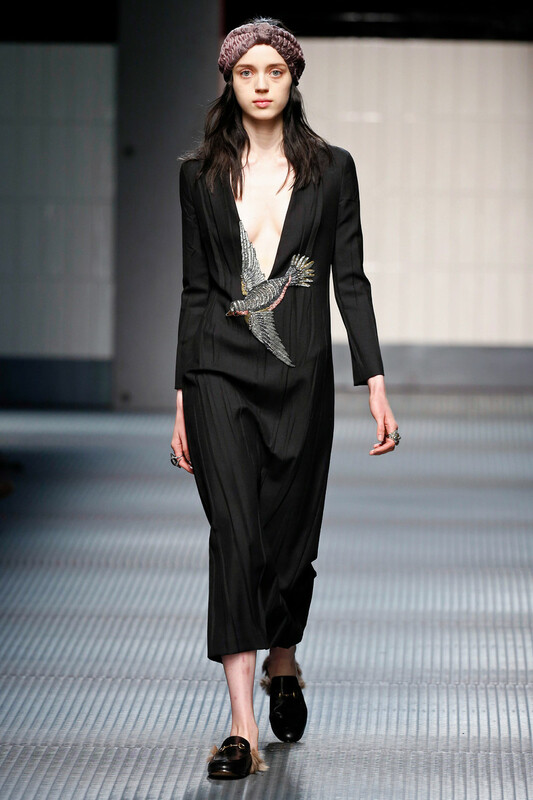 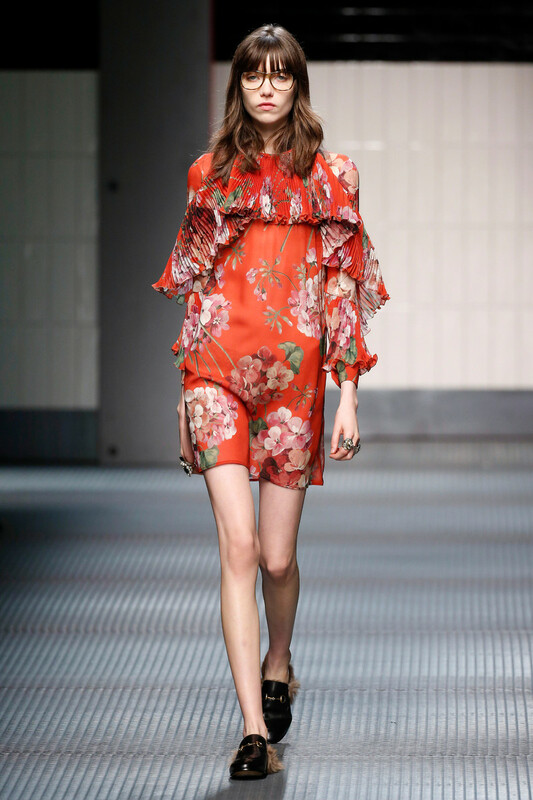 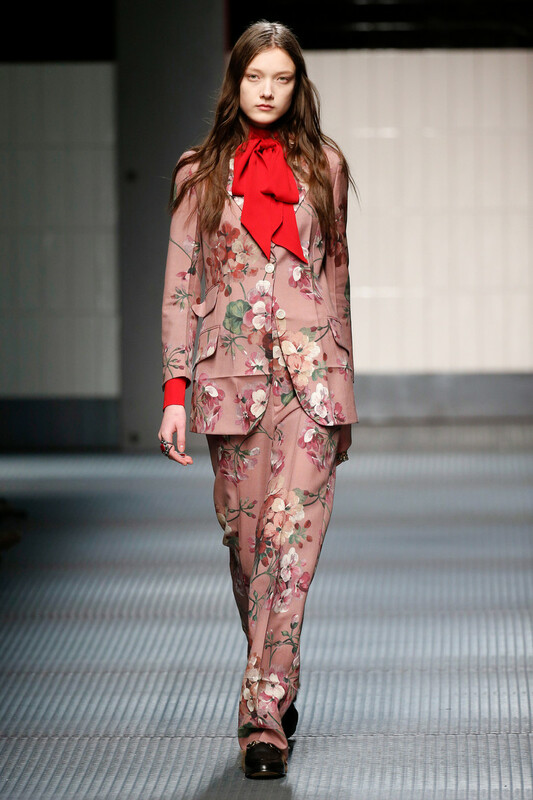 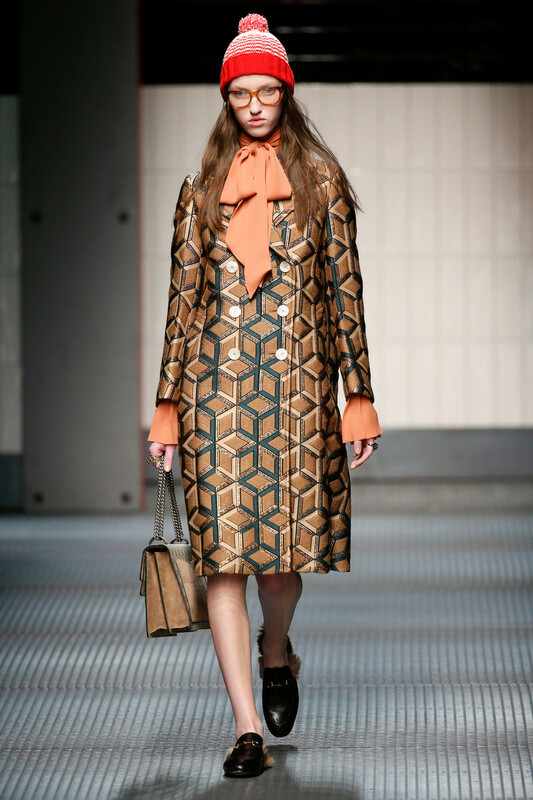 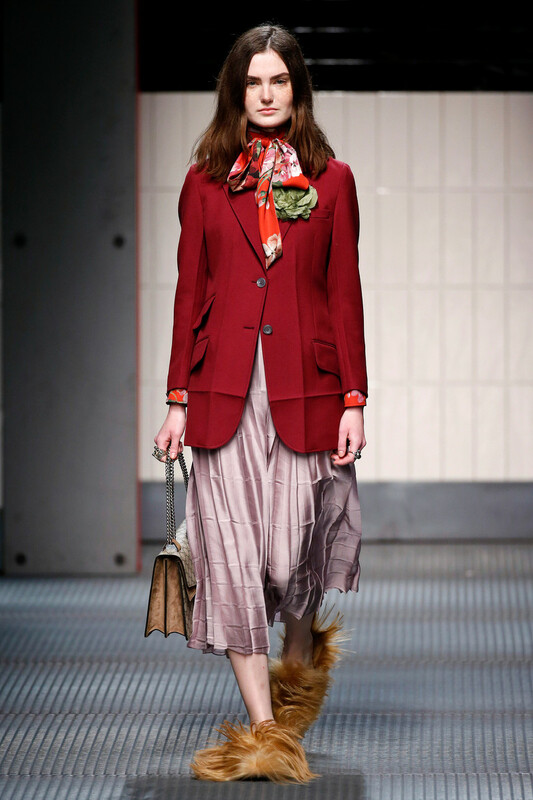 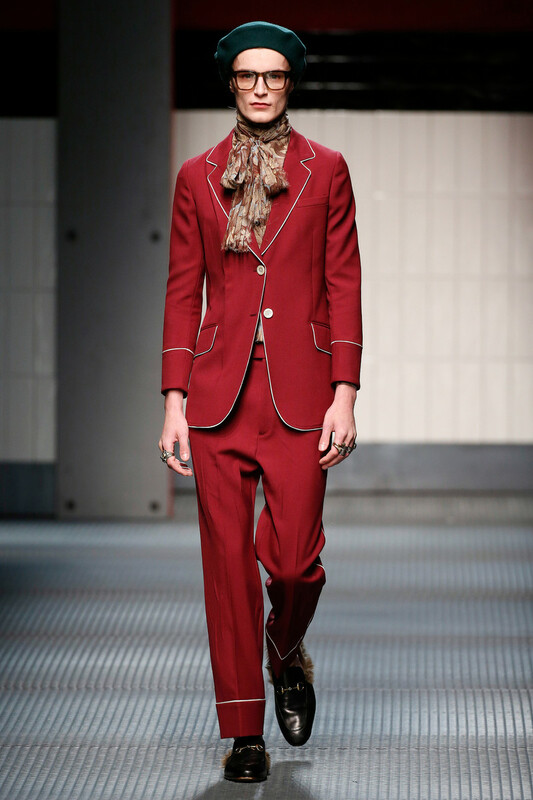 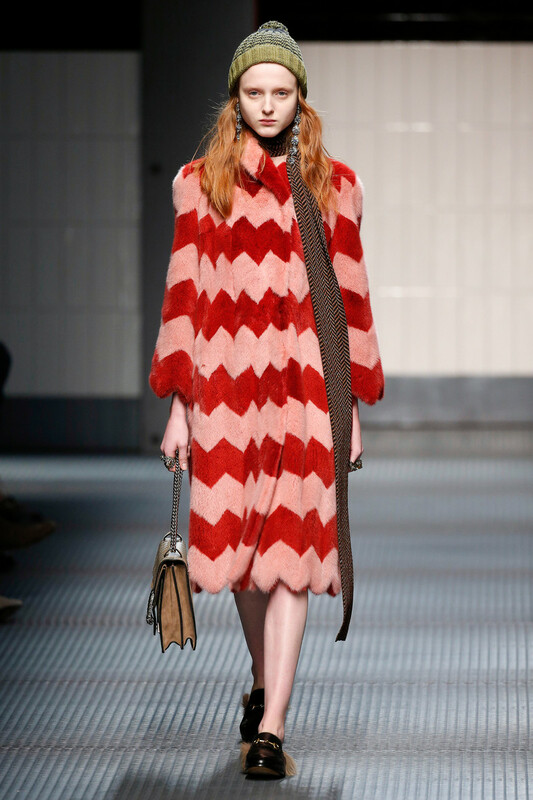 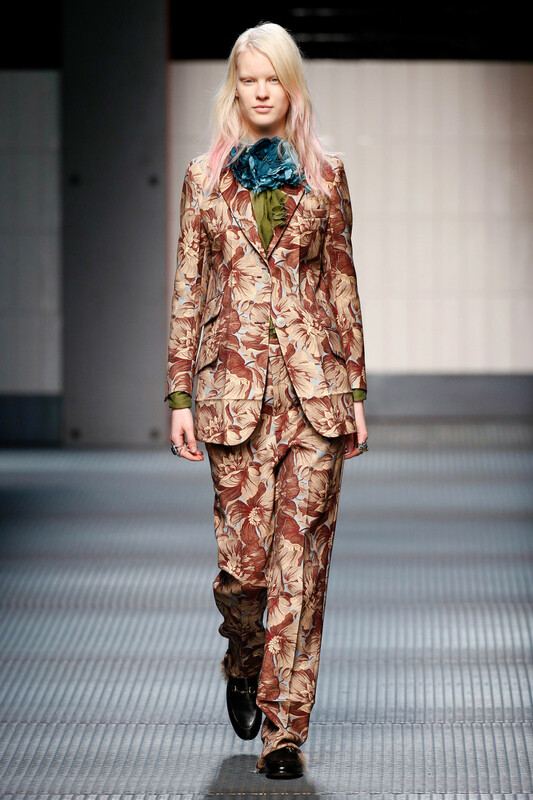 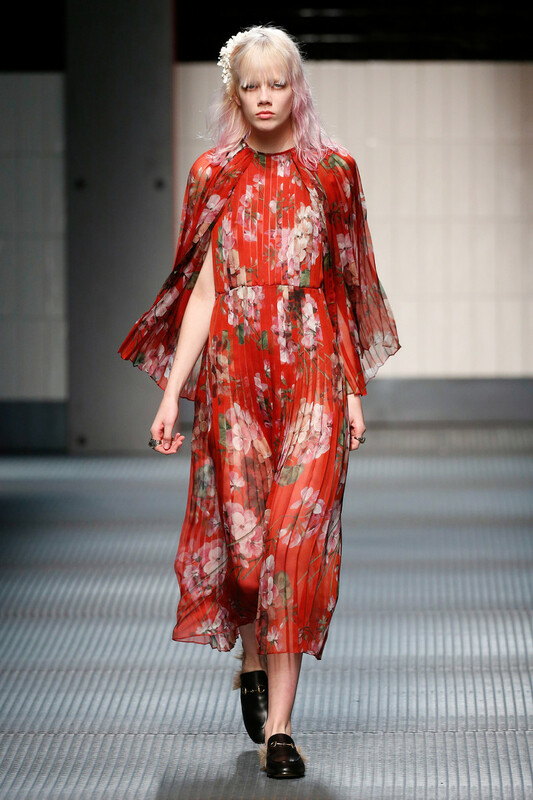 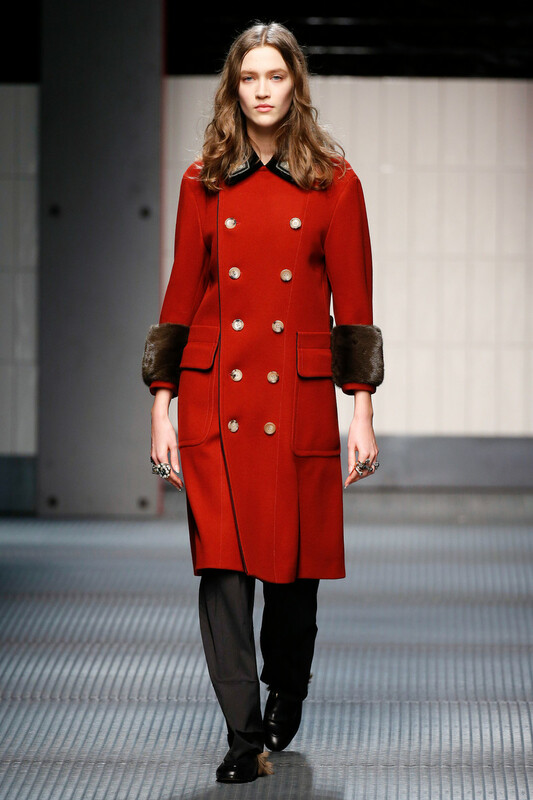 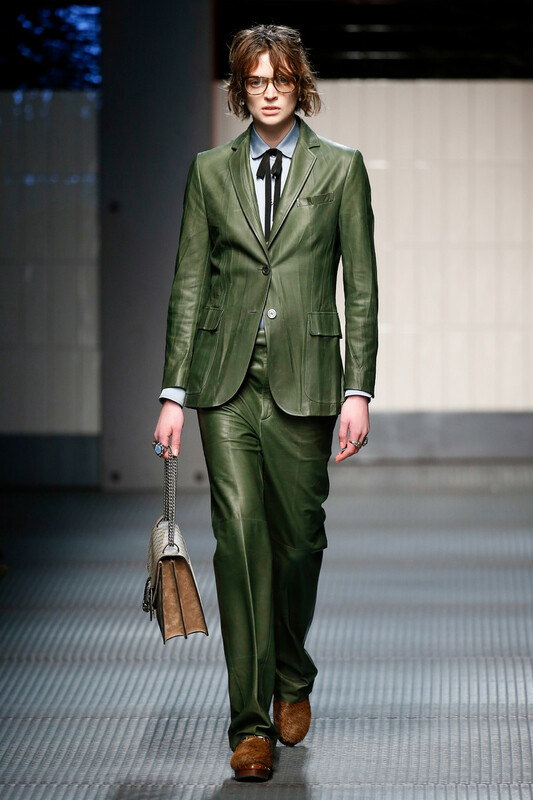 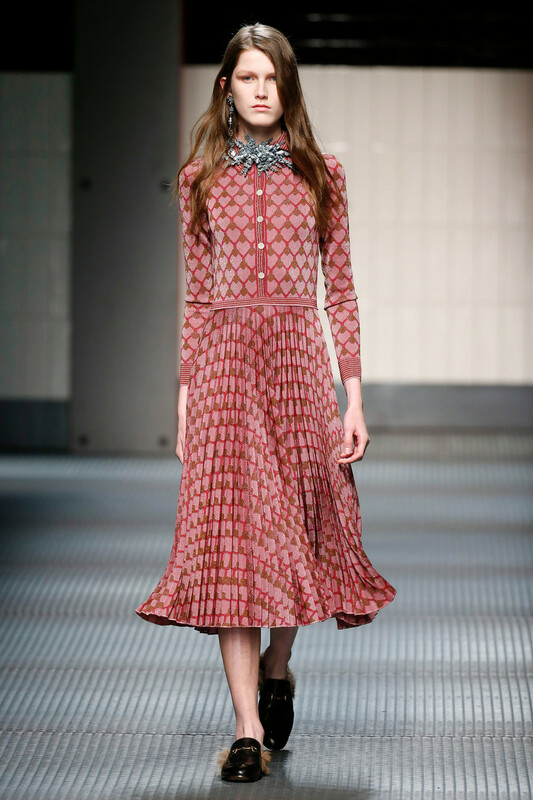 It was Alessandro Michele’s debut at Gucci this week. 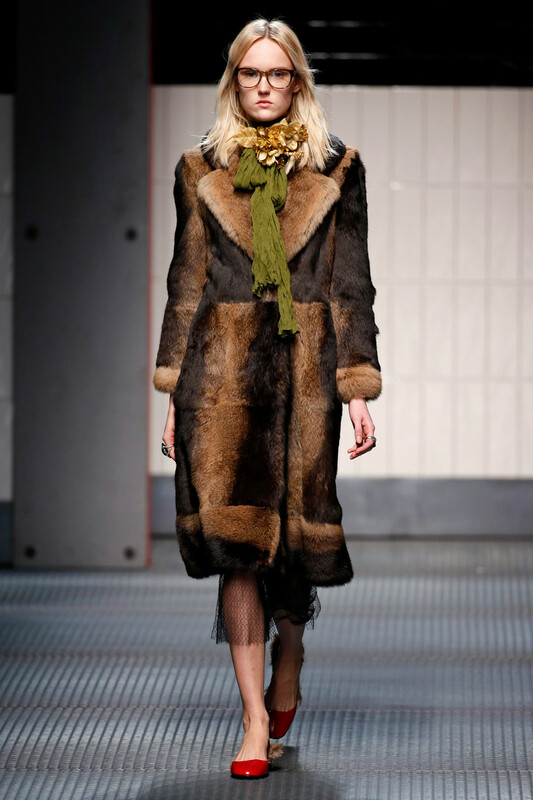 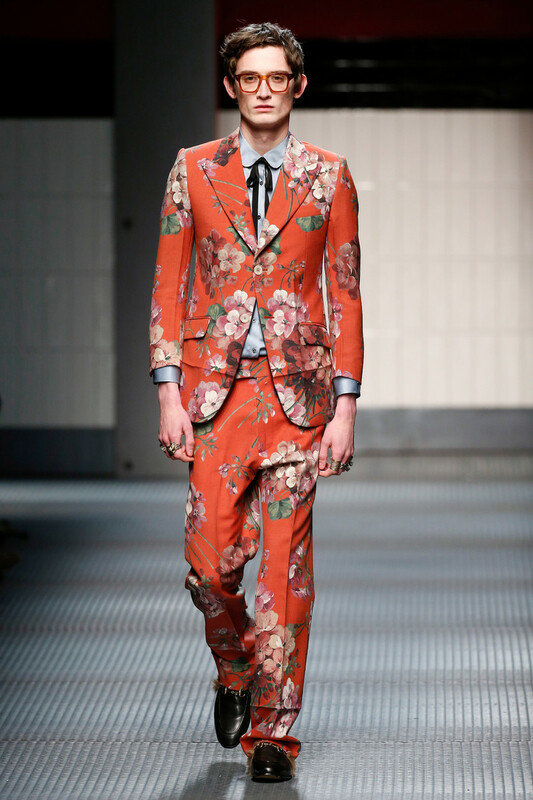 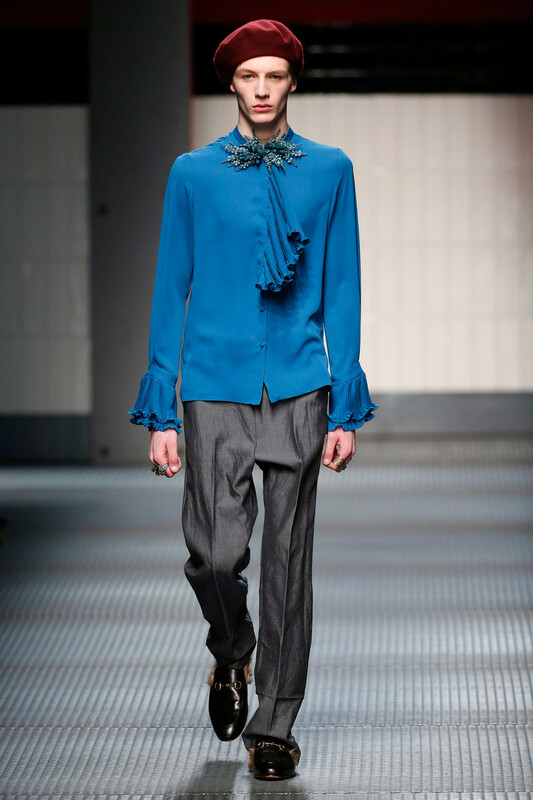 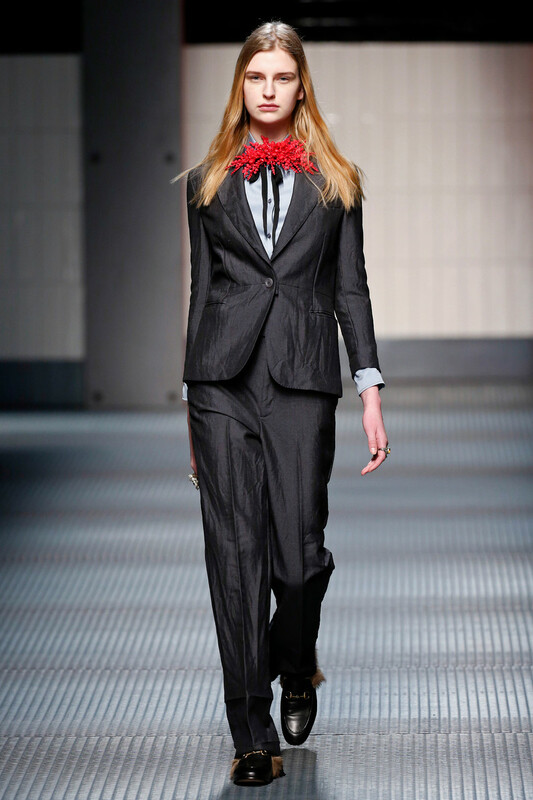 And his fall collection felt like a sharp break from Giannini’s Gucci and also Tom Ford’s version. 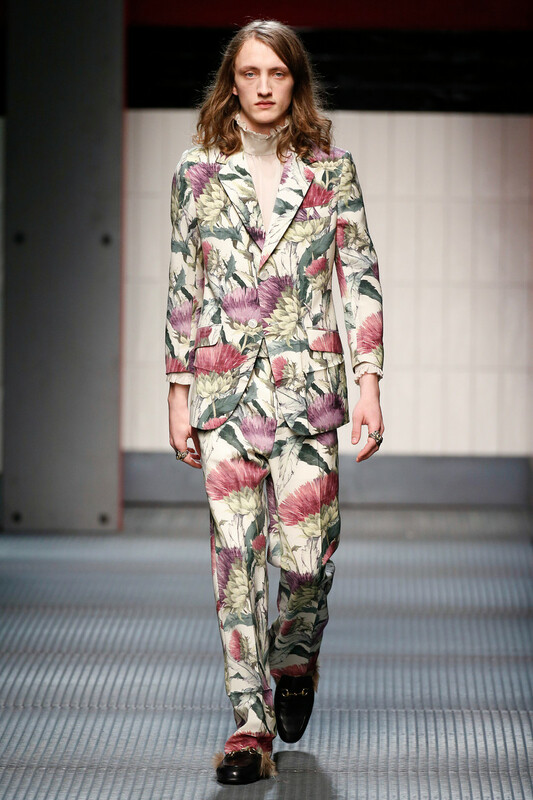 The new man at the helm has a decidedly more romantic outlook. 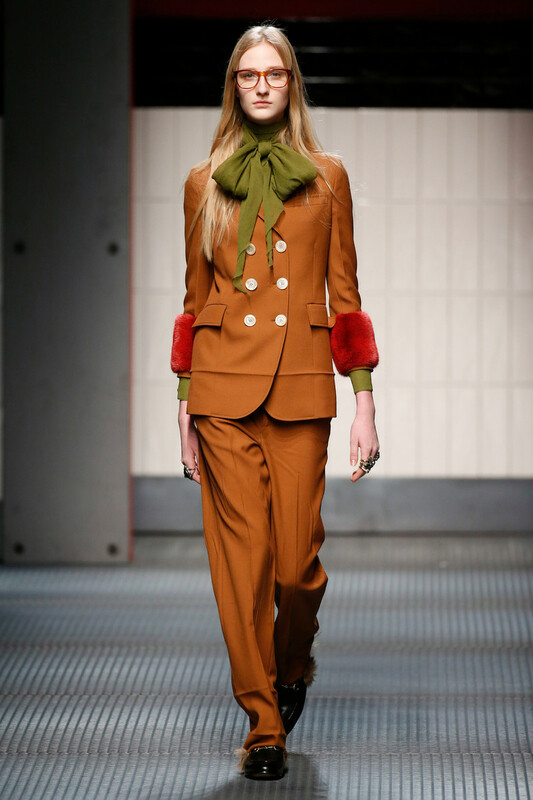 His Gucci girl is an ingenue with an eccentric side, one who looks as though she’s picked out her clothes at estate sales and vintage stores, and mixed them with handfuls of heirloom rings, chunky rimmed glasses, the occasional pompom hat, and fur-lined horse-bit loafers. 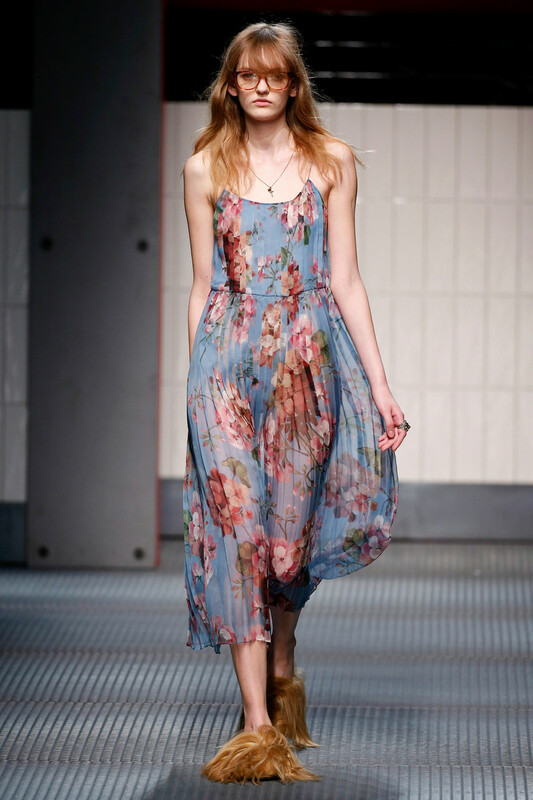 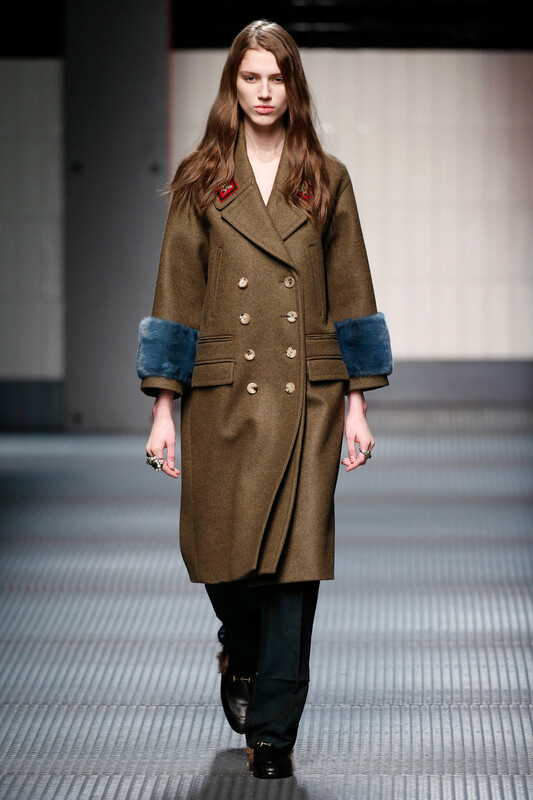 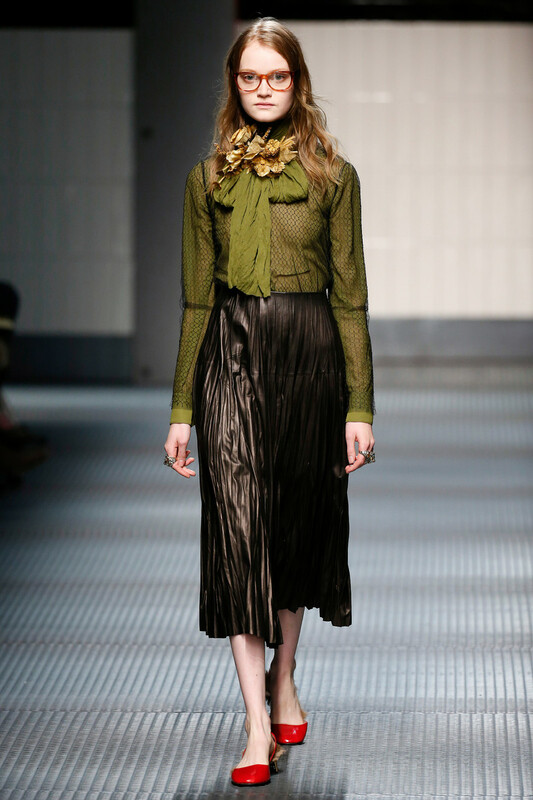 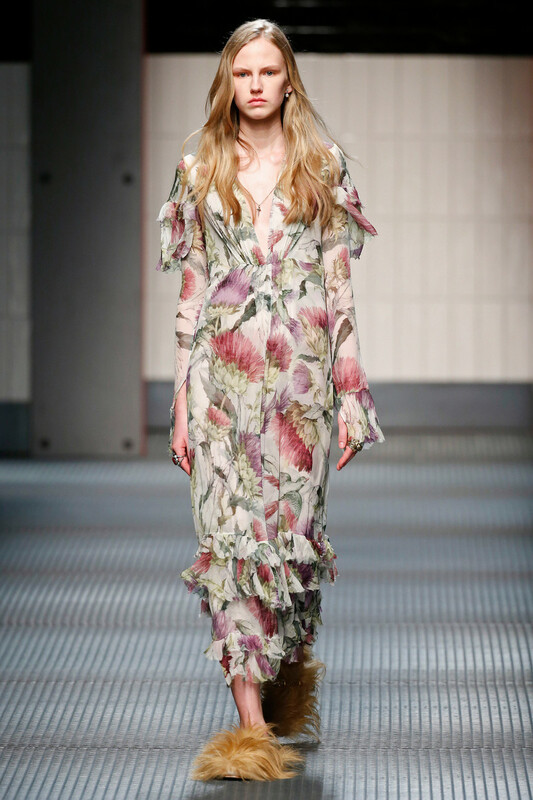 The collection included colorful coats with fur cuffs and military leanings; fluttery, shapeless botanic print dresses; and unlined, skin-baring separates.